Lynne and Ryan, members of Kleingers’ Landscape Architecture Studio, on hand for the tree installation. In celebration of 2017 World Landscape Architecture Month (WLAM), The Kleingers Group generated an online social media campaign to raise awareness for the landscape architecture profession. 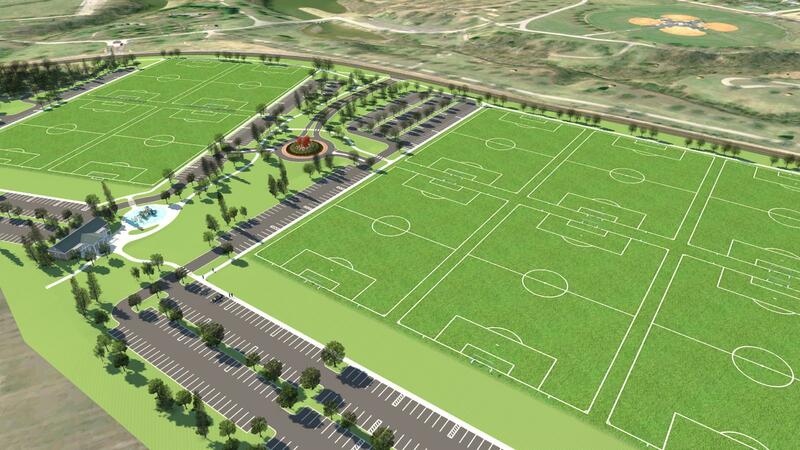 The campaign gave social media followers the opportunity to vote for their favorite community park designed by Kleingers’ landscape architects. The park with the most votes would receive a shade tree donated by the Kleingers Group. 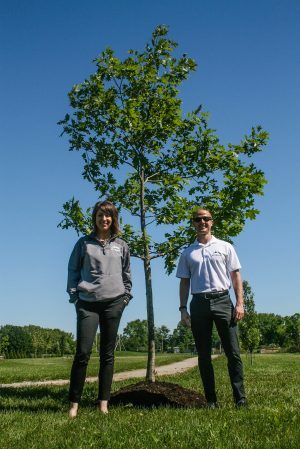 During the month long landscape architecture celebration, the campaign reached over 10,000 people online and Miller Ecological Park in Lebanon, Ohio was selected to receive the donated tree from Kleingers. The Miller Ecological Park consists of many sustainable features including a permeable parking lot, bioswales, and many diverse plantings to attract birds and wildlife. Many projects within the park have been donated such as bird boxes, a wildlife blind, an informational kiosk, benches and bleachers, a maintained walking/running trail, bridges, and gaga pit. The Kleingers Group remains astounded by the level of support each community fostered during our small campaign. We can only hope this effort will inspire others to give back within their own communities. Thank you to all who voted, donated and celebrated #WLAM17 with us. We look forward to celebrating again next year! To learn more about the profession and Landscape Architecture Month, visit: https://www.asla.org/contentdetail.aspx?id=45783.